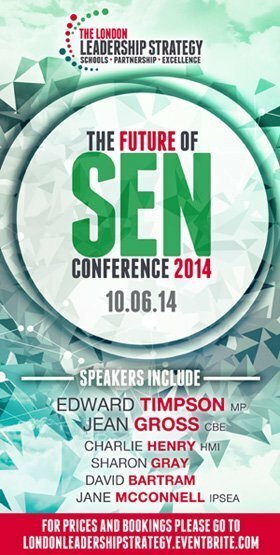 Next week, I'm taking part in a round-table discussion as part of a conference about the SEN reforms. Not that I'm nervous or anything, but the keynote speaker will be the SEN Minister, Ed Timpson along with influential names in the SEN field such as Jean Gross and IPSEA's Jane McConnell are also speaking. 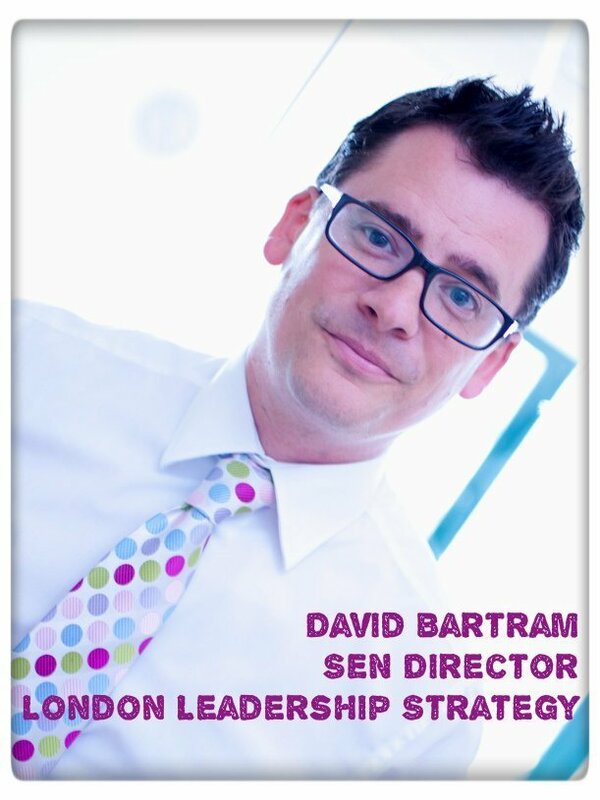 The SEN Director of the LLS is David Bartram, Assistant Headteacher at Lampton School. We're delighted that he's written for Special Needs Jungle today, giving a school leader's perspective on the reforms. David Bartram, SEN Director, London Leadership Strategy. Every child deserves an education system that responds to their individual learning requirements. Parents of a child with special educational needs (SEN) want to know whether the new SEN legislation will go someway to meeting this aspiration. There has, quite rightly, been an intense focus on the detail of the legislation. But the legislation alone will never be enough to address the significant discrepancy in the quality of special education needs and disability (SEND) provision across schools. I believe many schools will fulfill all of their statutory duties regarding the legislation, but outcomes for children with SEND in these schools may remain poor. During this period of reform, there has not been enough of a focus on what we know already works for children with additional needs and how we ensure that we win the hearts and minds of headteachers and school leaders to ensure that the legislation impacts on where it matters most – in the classroom on children and young people. The legislation still sits in something of a vacuum, away from wider education policy. As we move towards a self-improving school system, with Teaching Schools, National and Specialist Leaders of Education, there has been no mention of how schools can share their current knowledge of what works to support the implementation of the reforms. If the reforms are to be a success, then schools in partnership with parents, need to be at the heart of the implementation process. So how can parents know whether schools are truly embracing the reforms and using them as a platform to drive up standards and improve provision for children with SEN? The following questions may be useful for parents when asking schools to explain how they will be responding to the new legislation. The draft Code of Practice places responsibility for SEN in the hands of class teachers (Draft CoP 6.5). How will the school develop teacher expertise in SEN to ensure that teachers are fully aware of the needs of all children? The biggest single factor in ensuring children with SEND make progress and do well at school, is the quality of teaching and learning that takes place in the classroom. There is a clear correlation between excellent classroom teaching and excellent outcomes for all children, including those with SEND. During my visits to almost 200 SEND departments across the UK, and looking at the data of more than 30,000 children with SEND, it is extremely rare to visit a school where there is poor progress data for children without SEND, but good outcomes for pupils with SEND. Where progress data for children without SEND is outstanding, it is far more likely that outcomes for children with SEND will be outstanding. It is highly unusual to see children with SEND making good progress as the result of interventions alone. For the reforms to have true impact, schools will need to have a comprehensive SEN CPD training programme for both new and existing staff and they will need to ensure that the SENCO works alongside class teachers in providing guidance and support for those teachers that need it the most. Schools that work in partnership with parents invariably see better outcomes for children with SEND. How is the school developing its work with parents to ensure parents are at the centre of the team around the child? Parents know their child best and schools need the backing and support of parents to ensure provision is most effective. Parents also have to trust schools to put in the appropriate provision for their child. But this trust must be earned and this starts with excellent communications and transparency regarding identification and provision. Schools that are embracing the reforms will already be consulting with parents regarding the changes and will be seeking their advice when putting together the SEND School Information report. The new Code sees the removal of moderate learning difficulties and BESD replaced with social, mental and emotional health. This places greater emphasis on the underlying needs of young people and highlights the importance of precise identification. How is the school responding to these changes to ensure that my child’s needs are identified correctly? I have seen far too many schools label children as having moderate learning difficulties or behaviour difficulties, and then fail to drill down further into the precise needs of the child. These schools tend to not have adequate expertise on site and may not be using outside agencies effectively. As a result, children with SEND in these schools do not receive support that is appropriate to their need. Schools need to begin with accurate screening for children entering the school and then follow-up with more precise identification as appropriate. It is incredibly difficult to measure the impact of an intervention if we do not know a child’s starting point. The new Code states that SENCOS are particularly effective when they are on the Leadership team. How is SEND represented at a senior level in my child’s school? Children with SEND do better in schools where there is strong leadership and where there are high expectations of all students. Leadership of SEND begins with the headteacher, who sets the ethos of the school and who welcomes both children and parents of children with additional needs. These schools do not close their SEND department at the school open evening, they do not use notional funding to plug holes in the school budget and they celebrate the achievements of students and the work of the SEND department in their school prospectus. I suspect these are also the schools that will welcome the opportunity to develop a comprehensive SEND Information Report, rather than consign it to an inaccessible section of the school website. There is no mention of IEPs (Individual Education Plans) within the draft Code of Practice. However, schools are still required to keep clear records of a child’s SEND, the provision put in place for them and the difference that support will make. How will I know if the support my child is receiving is making a difference? During my visits to schools, the quality of target setting and particularly IEPs varies enormously. Target setting is normally only effective when the parents are fully involved in this process. There is now more flexibility for schools to record support, outcomes and progress in a way that they think would most benefit students. Schools should be reviewing their practice in this area to ensure that they employ a graduated approach to support and that they communicate the impact of this support at least termly to parents. I believe schools are at a crossroads regarding the future provision of children with SEND. The legislation is far from perfect and there have been some missed opportunities. But my work in this field has shown me that the vast majority of schools leaders are driven by a passion and absolute desire to do the right thing by all their children with SEND. We now need to draw on the lessons of ‘what works’ for children with SEND and to share this knowledge more effectively. Our practice as school leaders needs to be driven by what is best for children and their families; if we lose sight of this then the SEN reforms really will be a missed opportunity. The London Leadership Strategy is hosting The Future of SEN Conference in London on the 10th June. Speakers include Edward Timpson, Minister for Children and Families, Jean Gross CBE and Charlie Henry HMI, National Lead for Disability and Special Educational Needs alongside Special Needs Jungle’s own Tania Tirraoro.